Standing Bar BANPAIYA 晩杯屋 in Tokyo This bar is still unknown spot for international tourists. 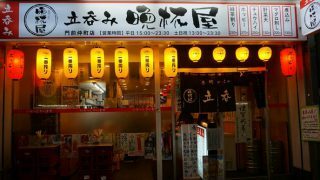 BANPAIYA 晩杯屋 is really popular with local people. Most of the dishes cost between 130 and 310 yen. 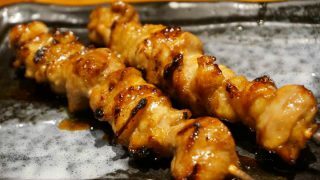 Only a few kinds of dishes are 490 yen. 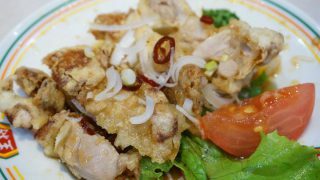 Are you tired of eating Japanese food during traveling in Japan? 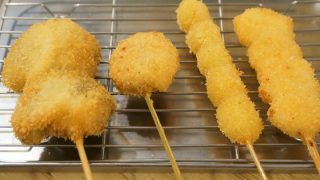 Deep-fried food on a skewer A restaurant Kushikatu Tanaka 串カツ田中 which is good for non-smokers. 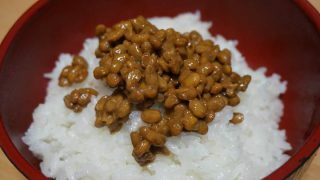 Hopefully, you already know about Natto 納豆 (Fermented soybeans). 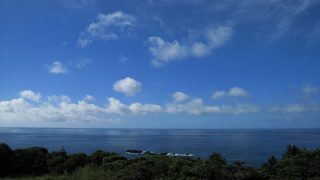 It is a popular Japanese food and known as a healthy food, but some people don't like the strong smell and sticky taste. 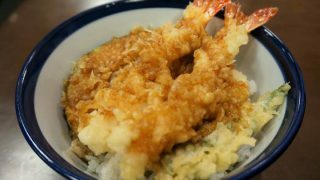 TENDON TENYA 天丼てんや is a chain tempura restaurant, and offers a large variety of inexpensive tempura foods. 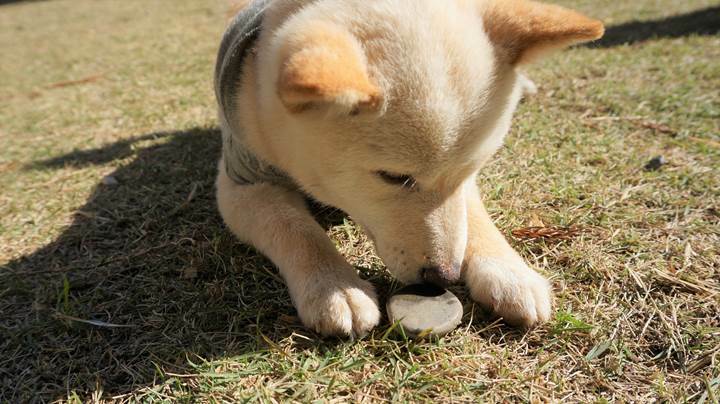 Taste very good! 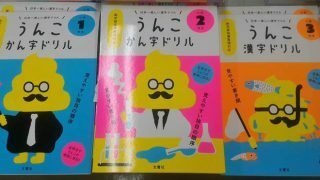 This post introduces non-smoking restaurants in (mainly downtown Tokyo) Japan to non-smokers. 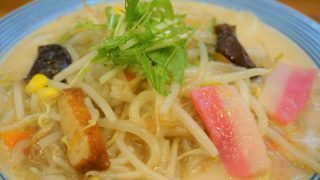 はなまるうどん restaurants offer many kinds of Udon and tempura. 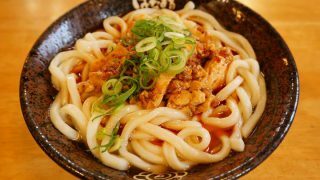 Udon costs from 150 yen. A piece of tempura costs 100 yen to more. Tax is not included in the prices. One of famous beef bowl shops YOSHINOYA 吉野家 in Japan offers a new food. 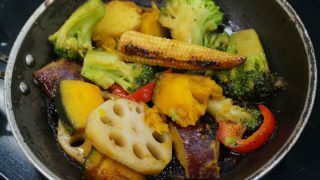 It is Vegetable Set Meal (Bezi-tei ベジ定) 490 yen, there are several kinds of vegetables on the pan.